The insurance industry is all about risk and evidence suggests that insurance risk and innovation are often unwelcome bed-partners. Which is why I was interested to learn about the “Life-Settlement insurance business. It would seem too that I’m a little late to this party because one such provider claims to have been Founded in 2004! 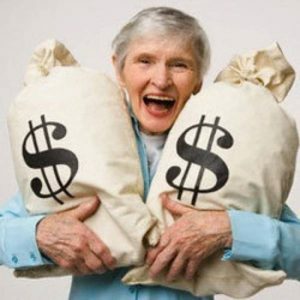 As it did me, this may surprise many other older adults that their policies might bring them money while they’re still alive. I wish I’d known about this before recently cashed out a life insurance policy I’d been paying into for years. As this article in the New York Times explains; If a life-settlement company likes its odds of turning a profit, it will buy the policy, paying out more than the policy’s cash value — the amount received if the policy were canceled — but less than the face value, or death benefit. Morbid stuff, but then insurance often is. What impressed me was that this represents innovation in an industry that has been very slow to respond to the ageing population with new products and services. Sadly, the insurance company mentioned above (and most companies in the sector for that matter) fails in the basics of age-friendly web design. Swiss Life joins the line of insurers tackling ageing. Yawn.